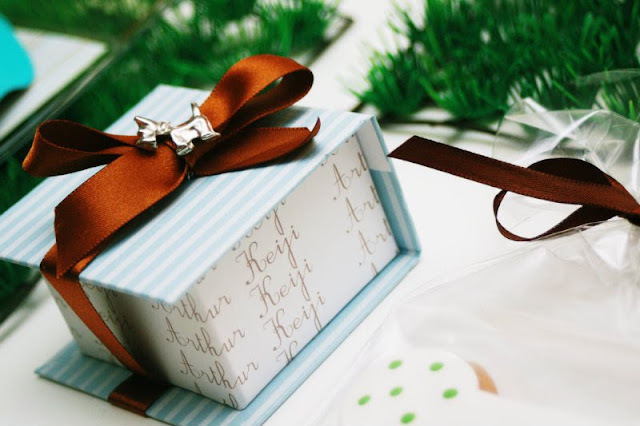 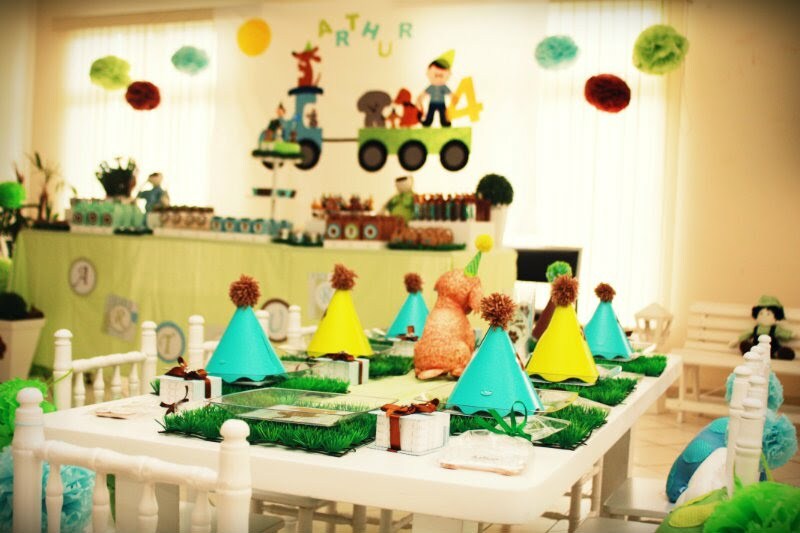 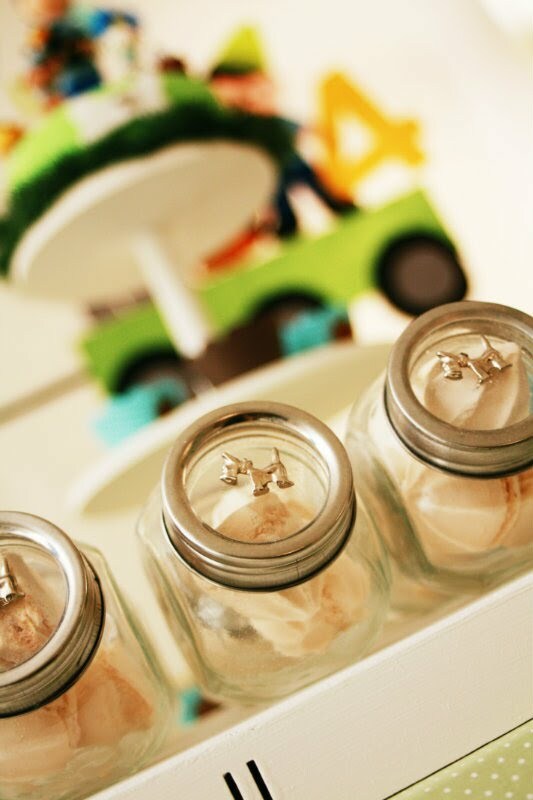 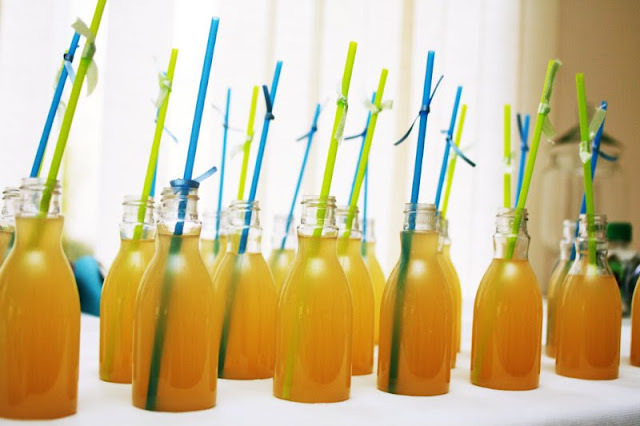 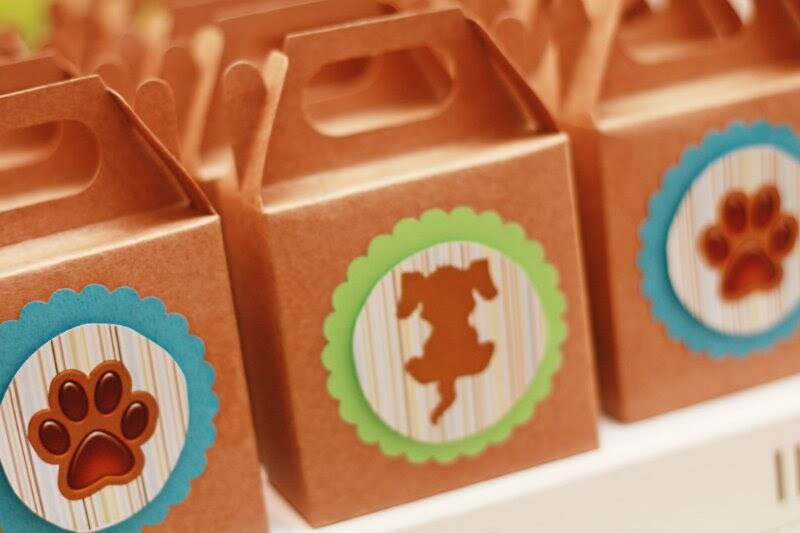 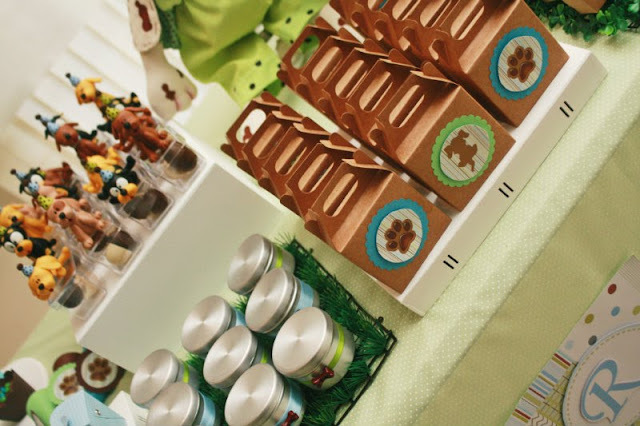 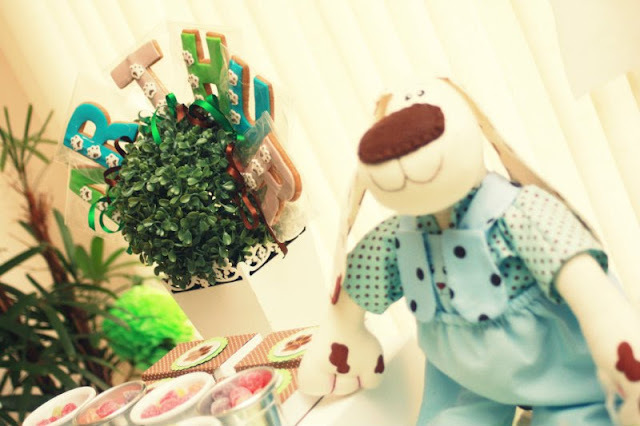 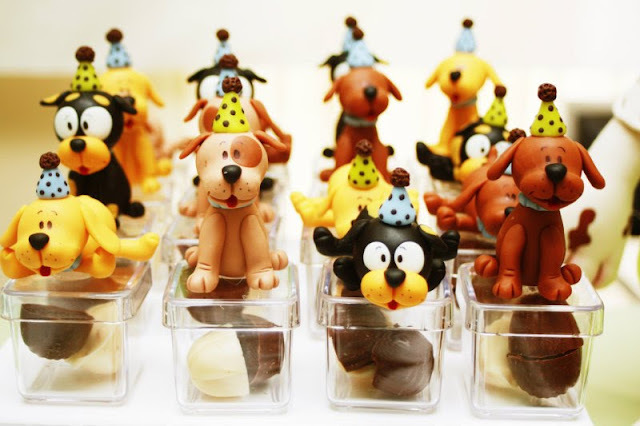 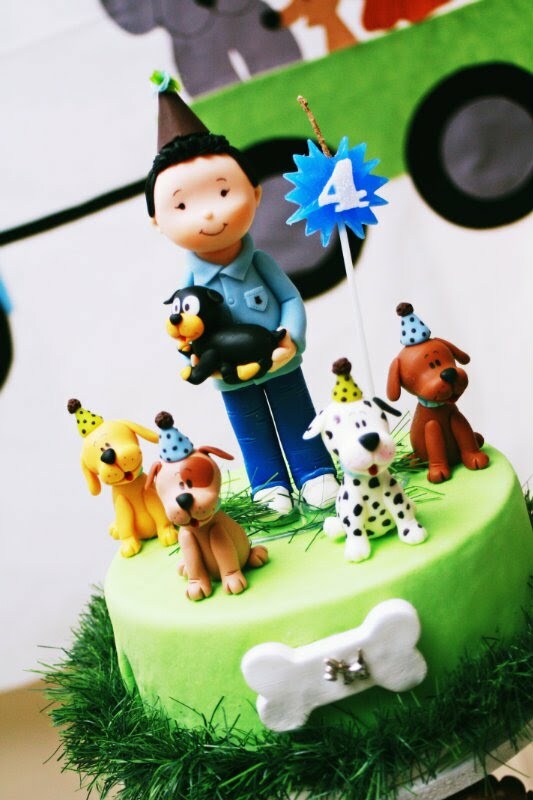 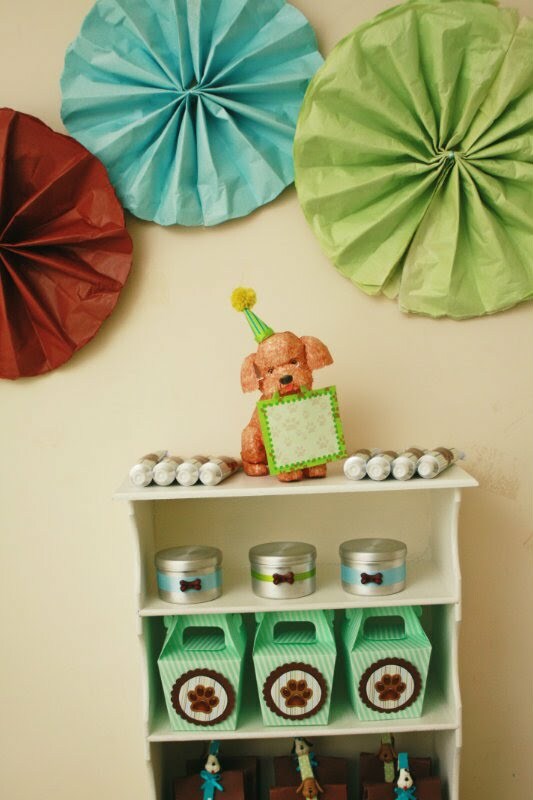 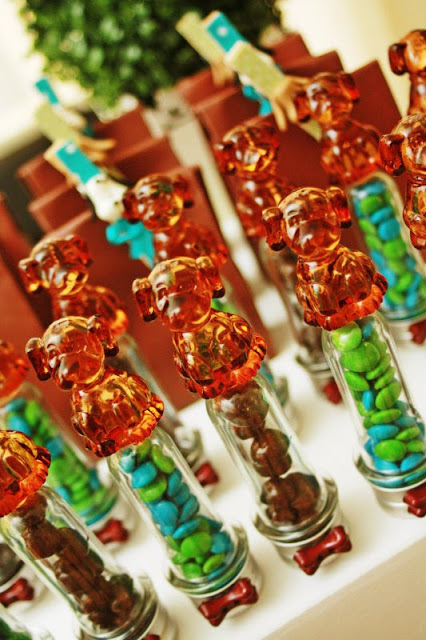 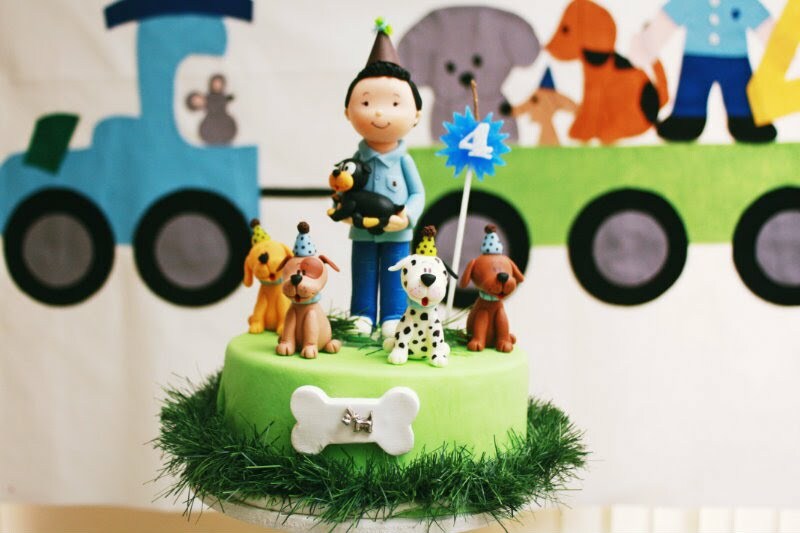 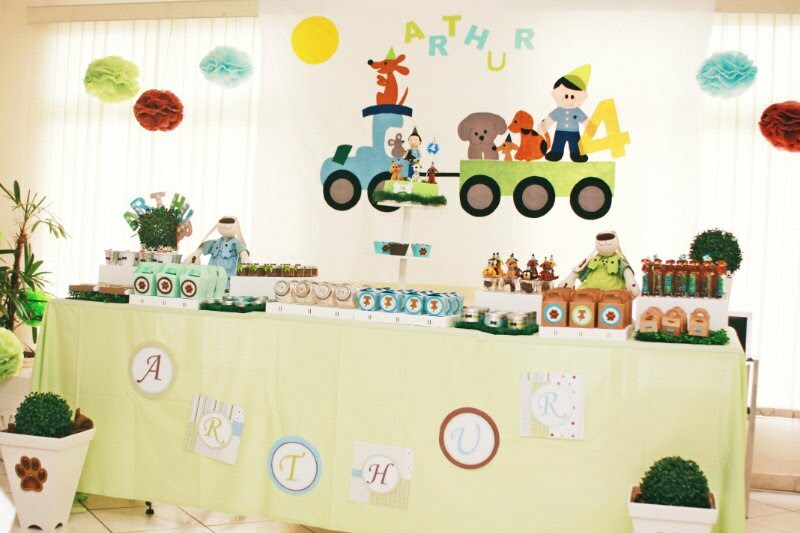 Here is what Alessandra said about her party- "I loved putting this party together. 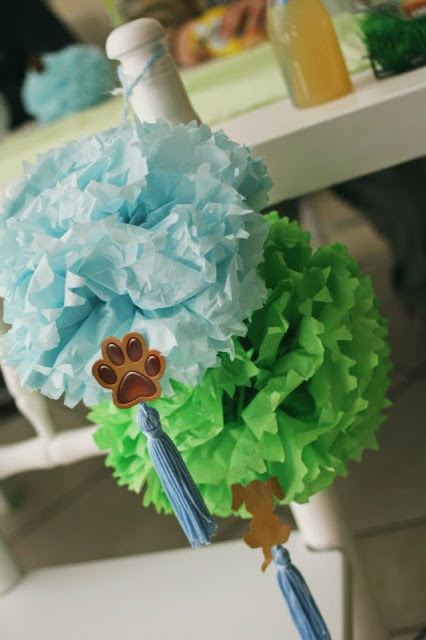 Rolled faux grass was cut into squares for place mats. 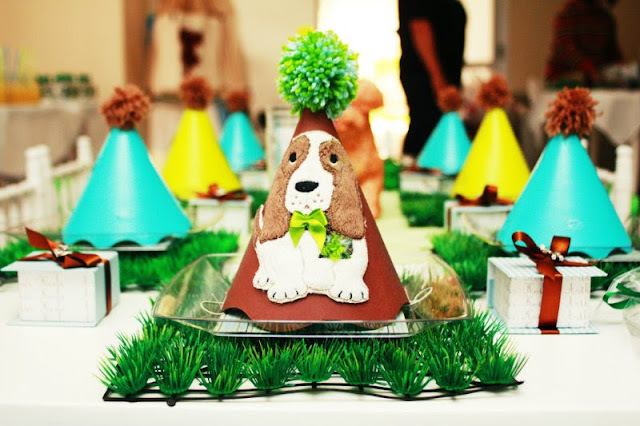 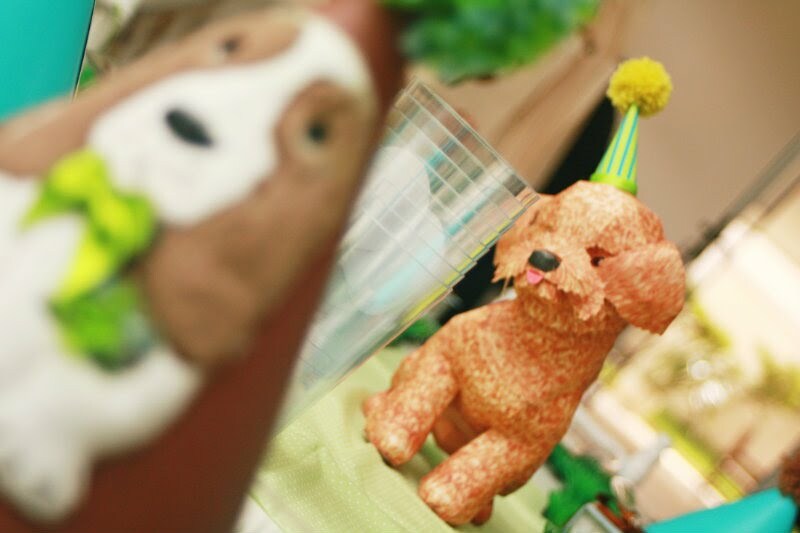 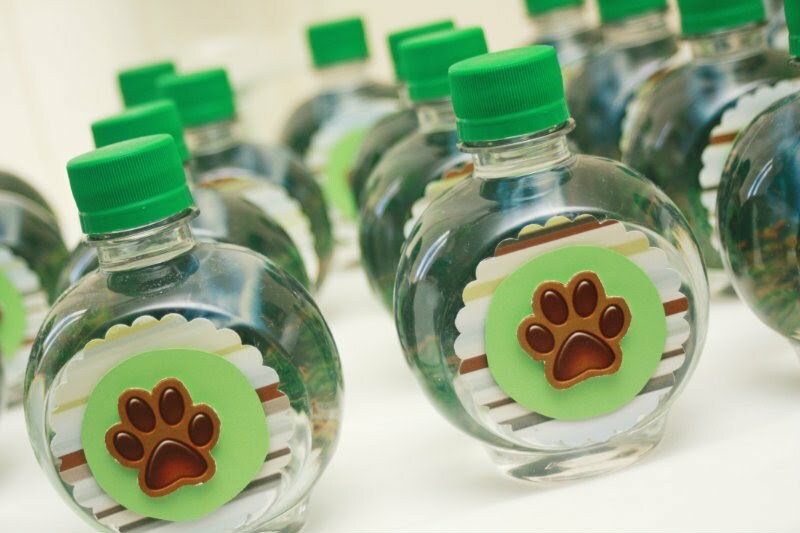 3D doggy party hats were made with fabric, felt & yarn pom poms. 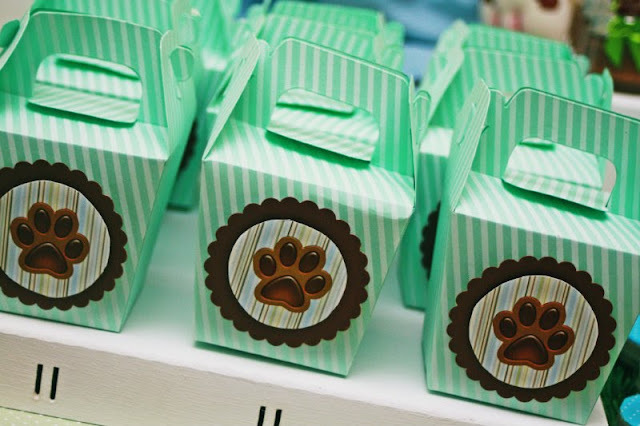 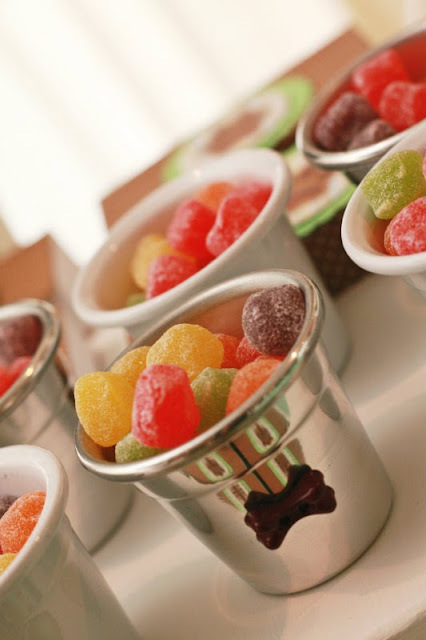 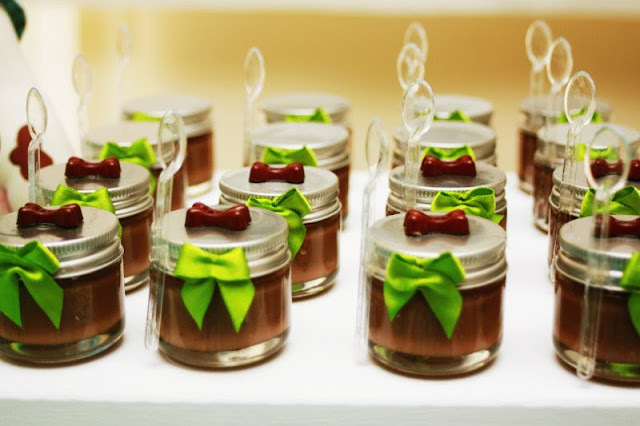 Candy was places in little silver dishes to resemble dog dishes. 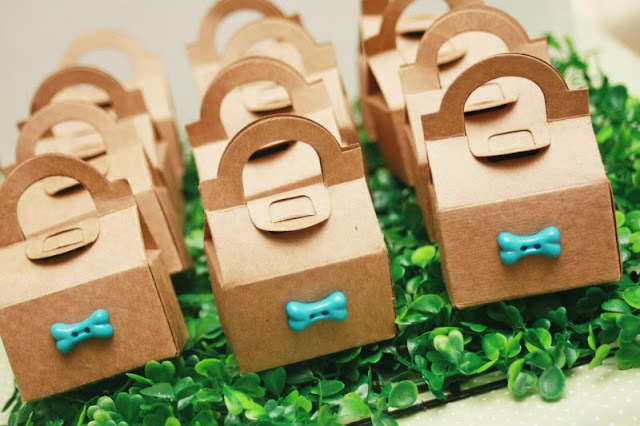 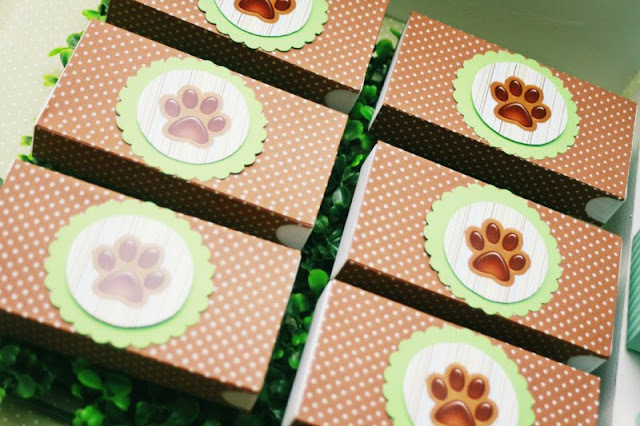 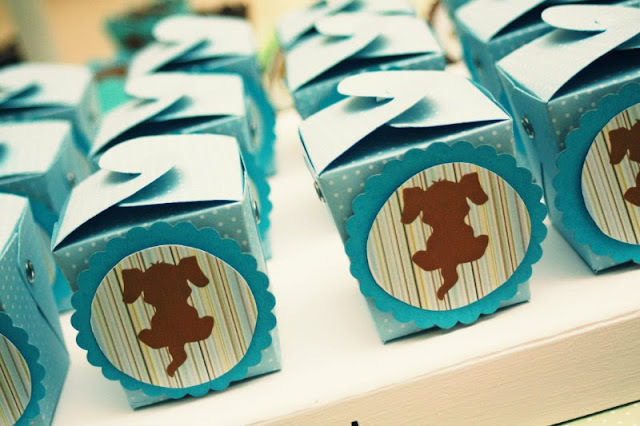 Many doggy baskets were made with various boxes and containers. 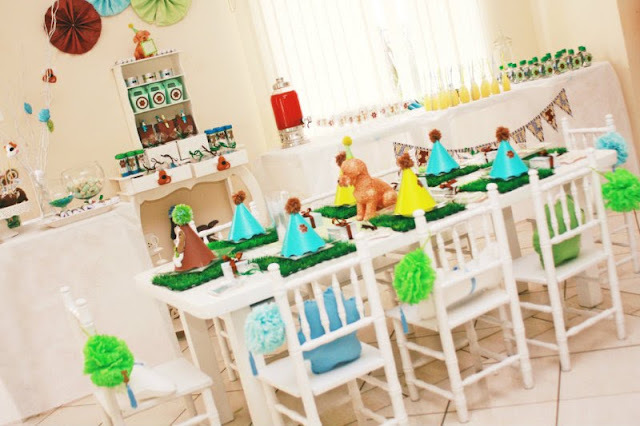 There were a lot more party elements that you can take a look at. 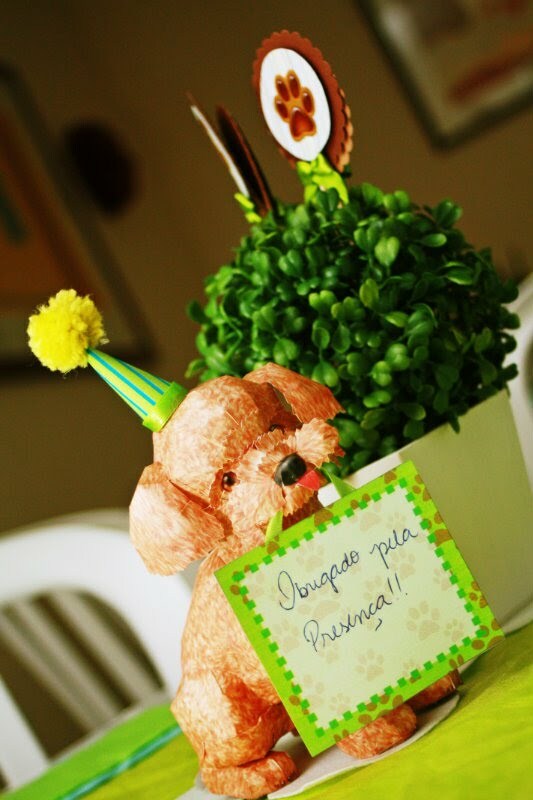 I hope you enjoy!"